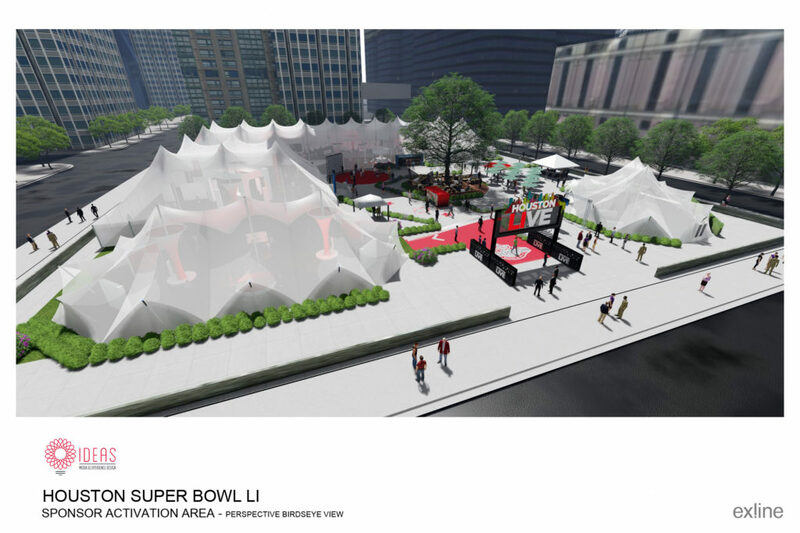 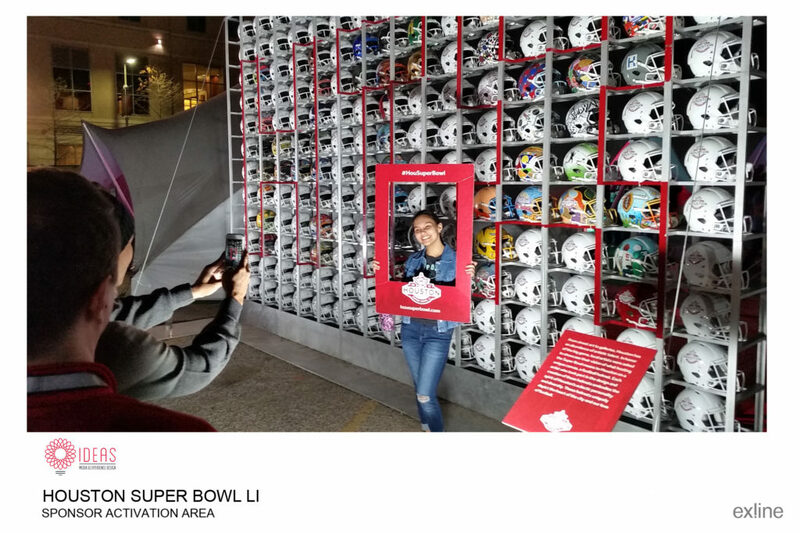 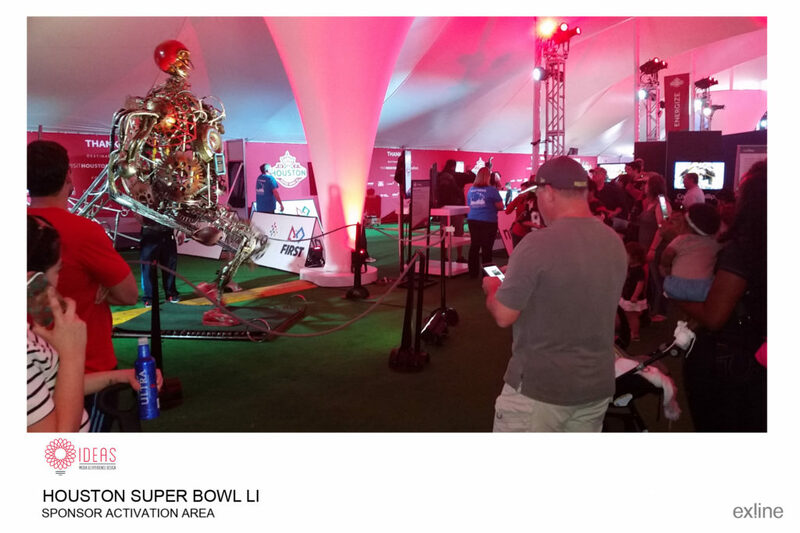 Houston LIVE Sponsor Activation Area was a first-of-its-kind exhibit at the Super Bowl, that shared the history and told the story of Super Bowl LI's host city... Houston, Texas. 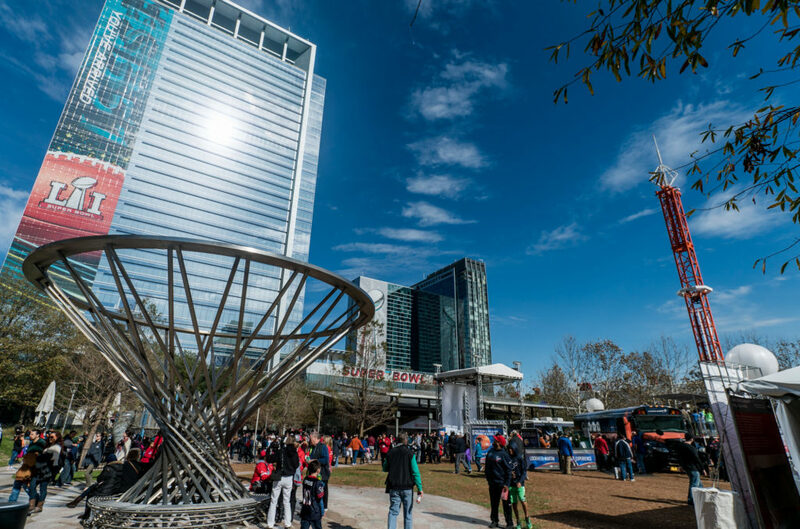 Houston LIVE was brought to life by various corporate sponsors that are based in the Houston metro-area, focusing the guest experience on key Houston neighborhoods and themes to Celebrate, Inspire and Energize. 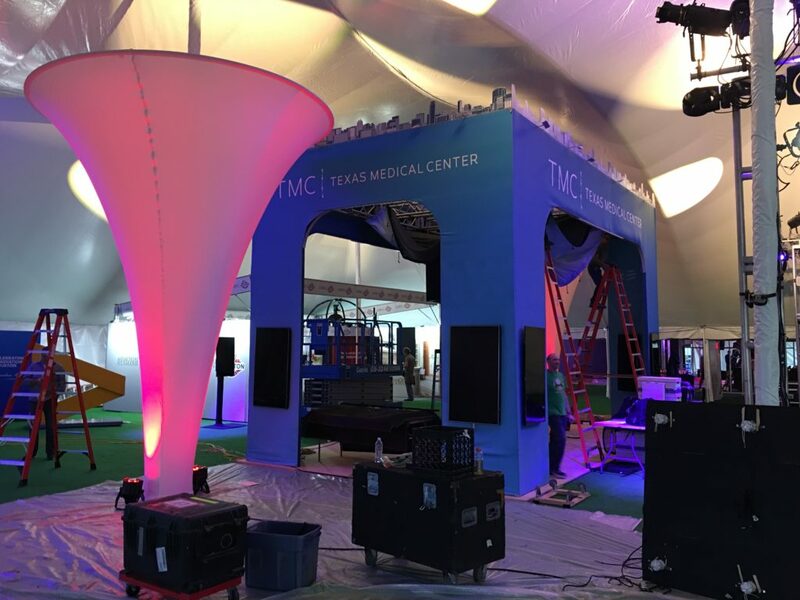 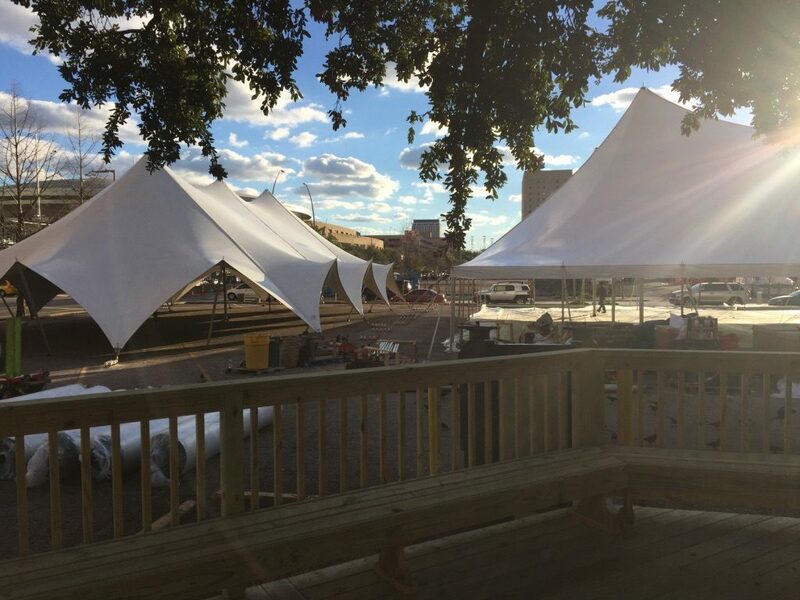 The custom interactive, 35,000 square foot tented space also featured Houston-area performers throughout the event. 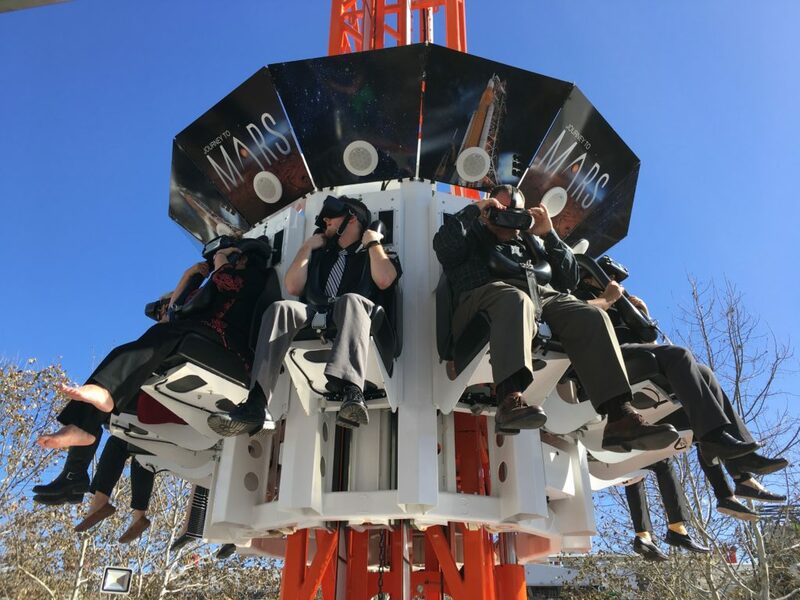 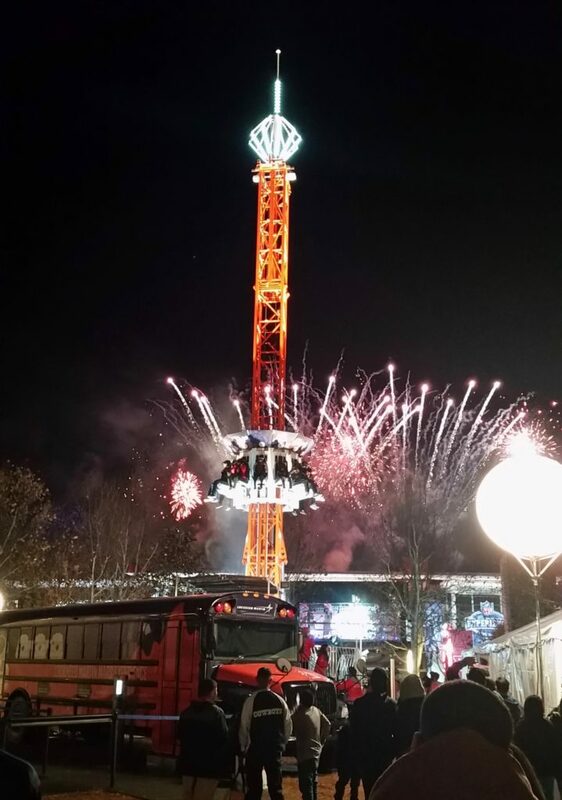 Just across the street, Future Flight - WOW Factor was anchored by a virtual reality drop-tower ride that took guests on an excursion through space to Planet Mars and back, using real NASA footage from the red planet. 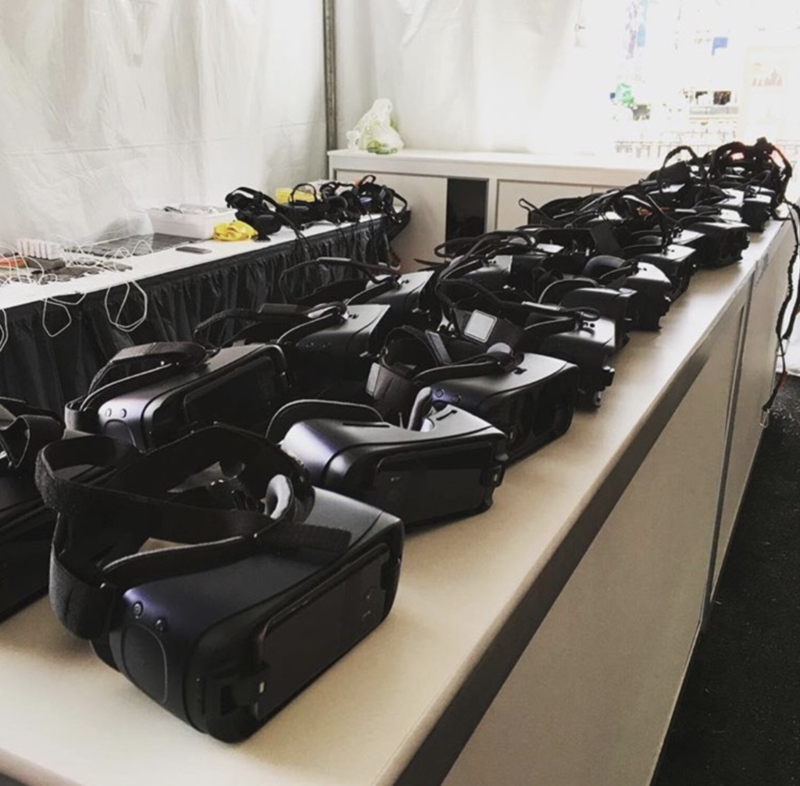 Guests donned virtual reality goggles for the 2-minute, 10-second ride. 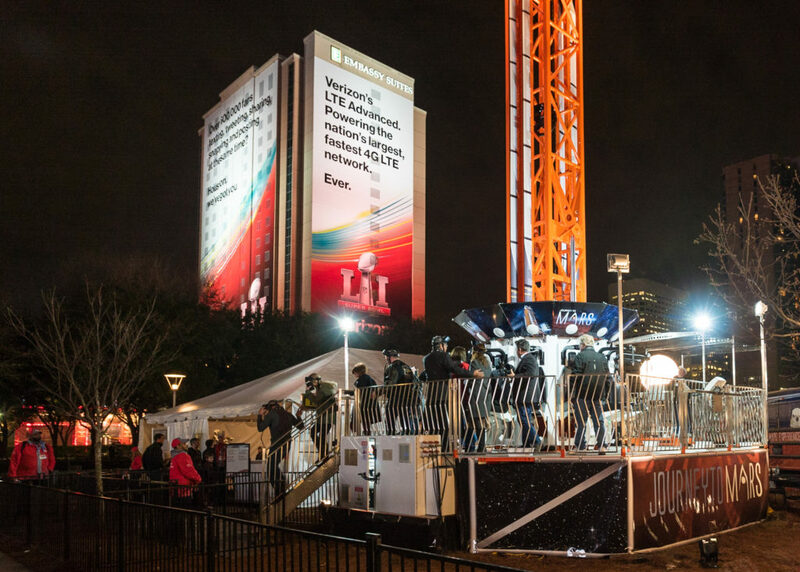 It concluded with a 90-foot drop that transported the rider visually from Mars back to Earth, landing on the 50-yard-line of Houston's NRG Stadium, just in time for kickoff of Super Bowl LI! 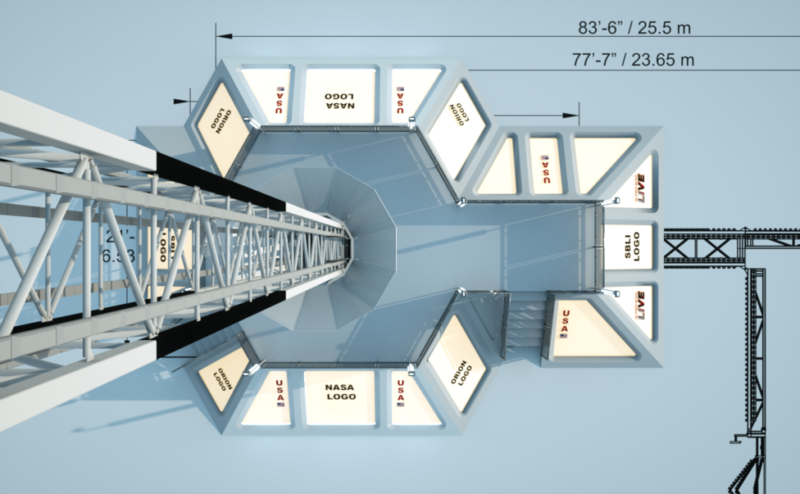 Partnering with NASA and Houston's Johnson Space Center, the WOW Factor site also included a walk-thru exhibit of real space artifacts and educational elements provided by Houston's aerospace industry. 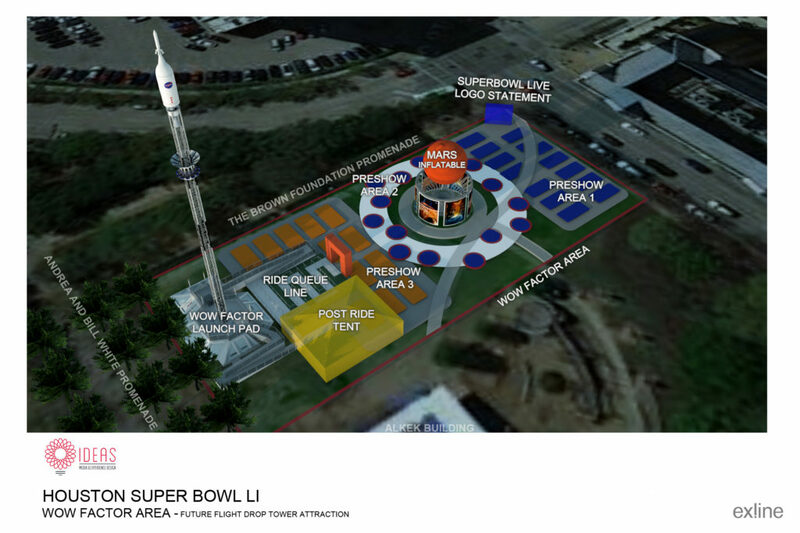 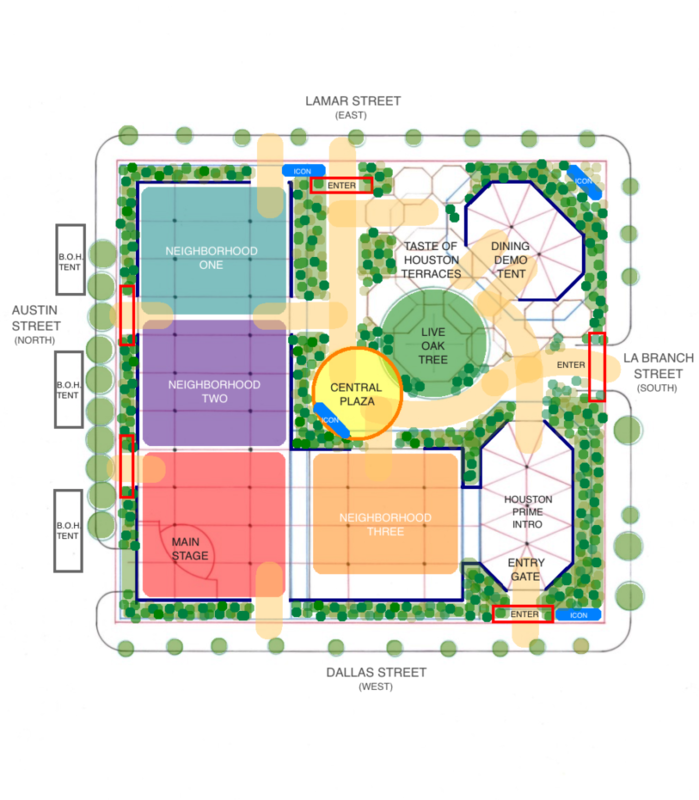 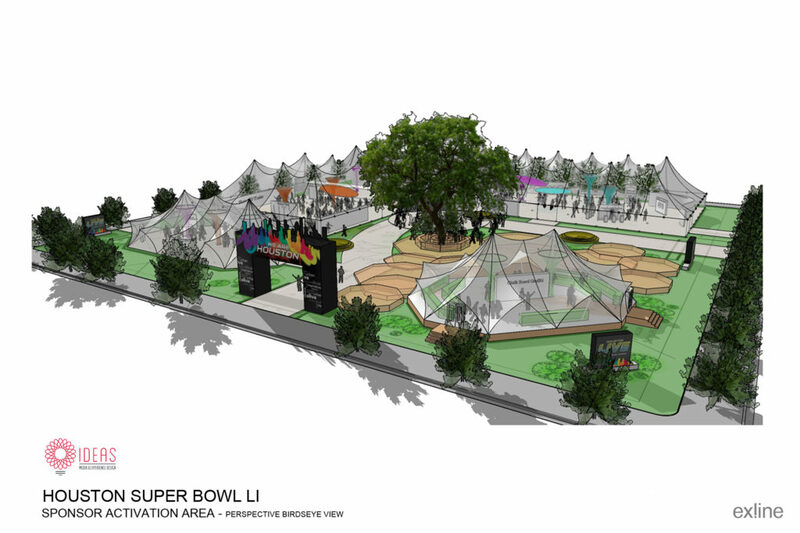 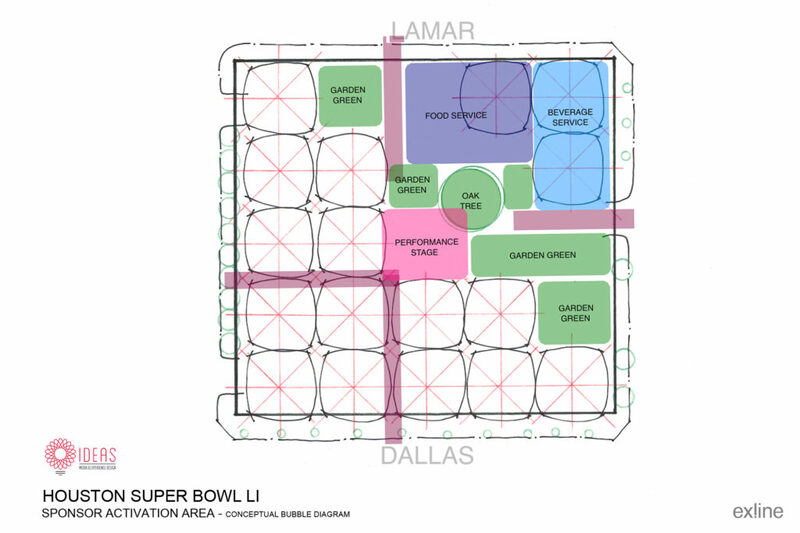 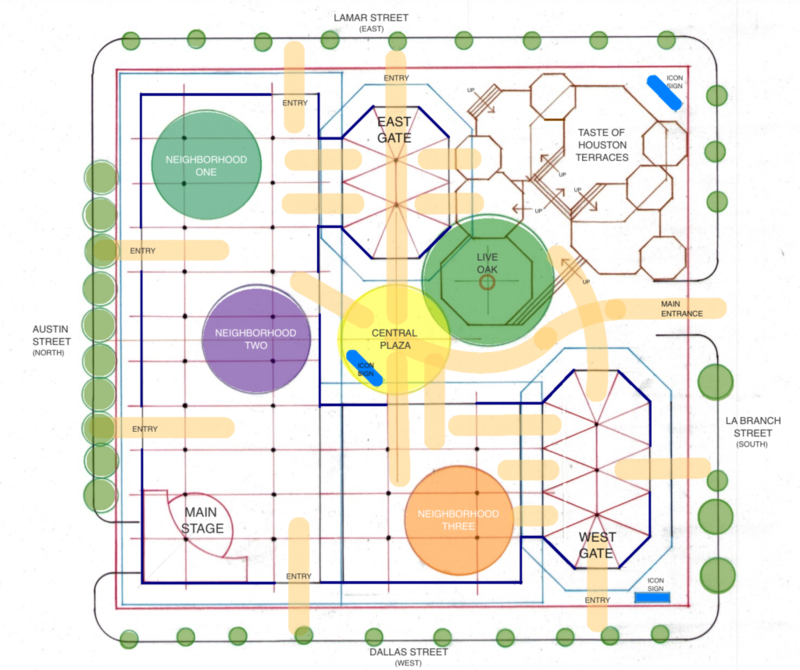 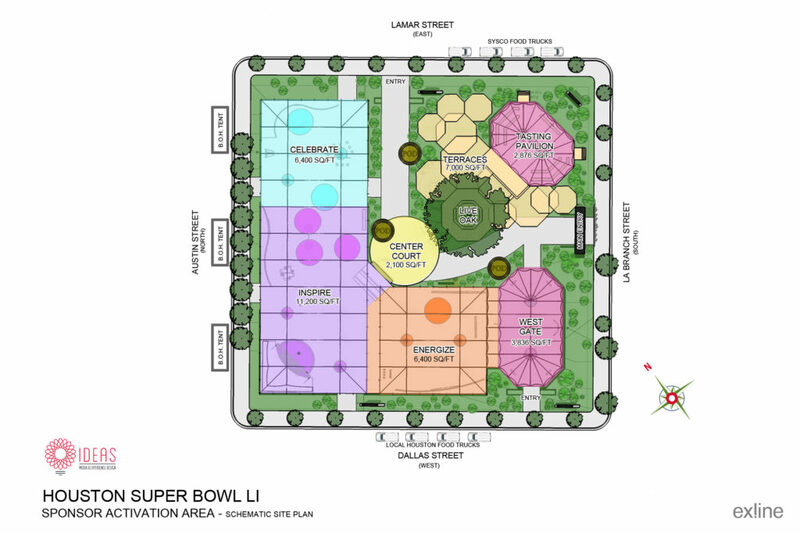 Conceptual Master Plan: Exline Design & Architecture (EDA); Executive Producer: Mr. Bob Allen, IDEAS Orlando; Event Producer: Mr. Jeff Snyder, GES; 3D Visualization: Mr. Mike Munson, Munson Studios; Client: Houston Super Bowl Host Committee.